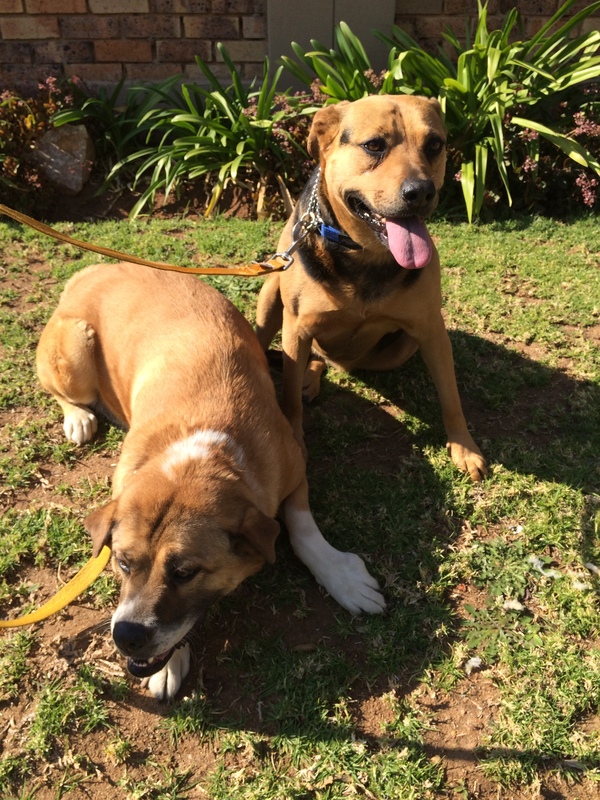 Sandy and Sparrow are a pair of mixes, who really enjoy their time on the streets of Jozi. They were having a good time watch all the cars go past in the beginning, and later just concentrating on their walk. Sparrow seemed a lot more focused on the walking side, while Sandy was a bit more interested in her surroundings and what smells there were. It was a successful and tiring day for the dogs of Jozi who enjoyed the walk with their friends and walkers. A mixed breed breed dog is for the adventurer in all of us. When purchasing a purebred dog, you’re buying a specific temperament that has been honed through strict breeding practices over a long period of time. With a mixed breed, a puppy especially, the unknown genetic line leaves all that up in the air. Appreciate the spontaneity behind this and that makes you awesome by association with the awesome mutt you’ve chosen to adopt. This entry was posted in Dog Walking and tagged #YourHound_SA, city streets, Dog walking, dogs, exercise, fun, Happy Dogs, Jozi. Bookmark the permalink.